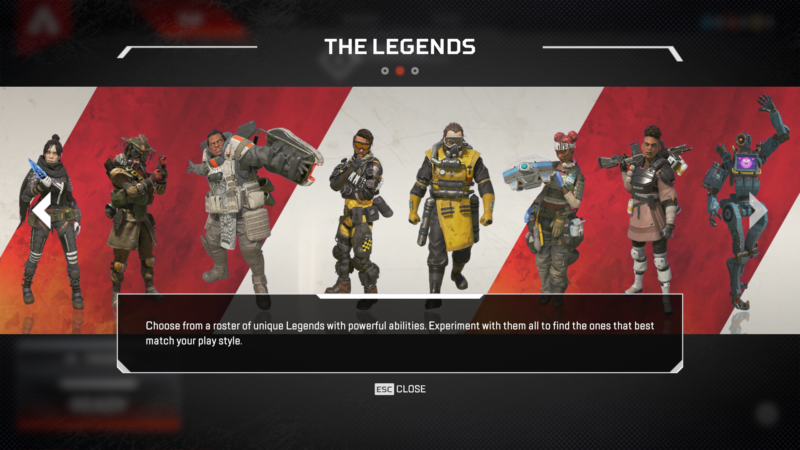 Apex Legends is the newest battle royale that is played by over 10 million players in just over a few days. 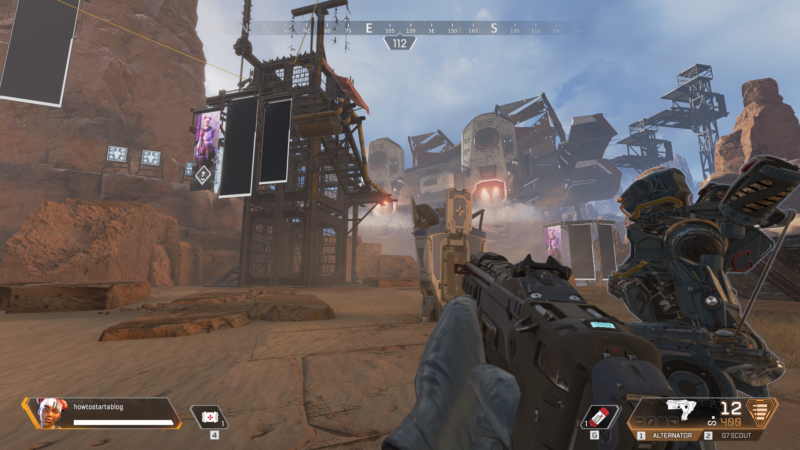 Developed by Respawn Entertainment, this game is clearly a competition for Fortnite. It is also the most streamed game on Twitch at the moment. If you’re a seasoned battle royale player, you should adapt to this game pretty quickly. 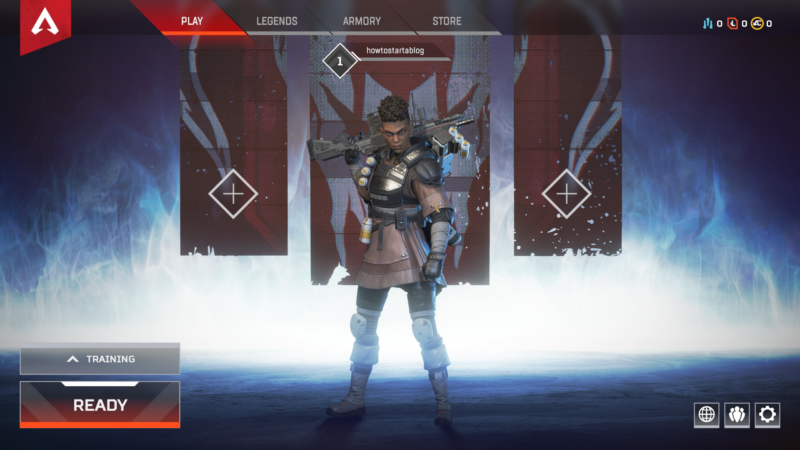 For both new and seasoned players, here are some tips and what to know before playing Apex Legends. This game has different characters and you call them Legends. Each Legend is good for different objectives, like assault, defense and support. Like some battle royale games, having a well balanced team is important for survival. For e.g. if you use a Bloodhound, your abilities are mainly geared towards finding enemies. A Bloodhound is pretty much a tracker, and can be really useful for the squad. As you play in squads of three instead of solo, you should aim for a more balanced team with different abilities. Try to familiarize yourself with more Legends, because if your teammate picks the one you like first, then you need to choose some other Legend. There’s no overlapping of Legends in a squad. 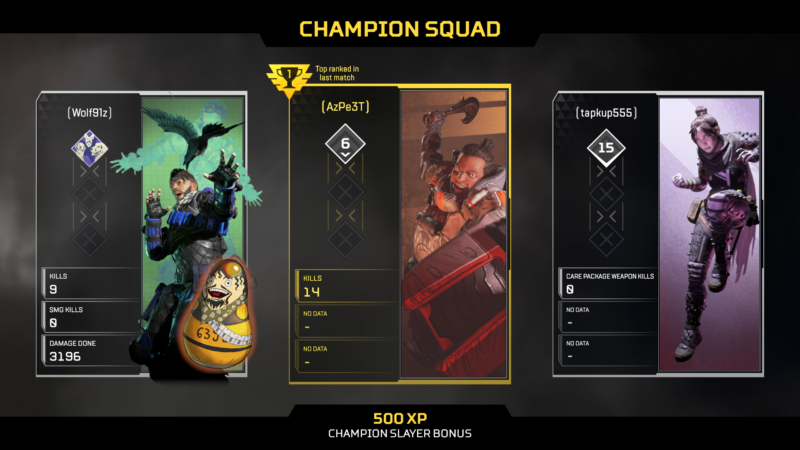 In each round, you will also be told who the champion squad is. The champion is probably decided based on their stats (e.g. level and kills). Killing them will net you more experience points. The best way to familiarize with the controls apart from playing the game itself is by undergoing training. In fact, you can’t enter a game without going through training at least once first. 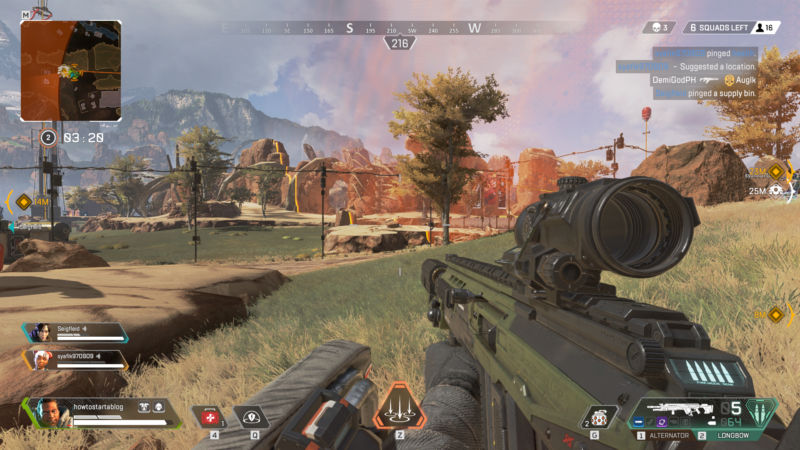 Apex Legends has more complicated controls compared to PUBG, so it takes time to learn all of them. Just like in Fortnite where you have to learn how to build structures, this game uses various abilities that will affect the game greatly. As mentioned above, each Legend has different abilities. Abilities are divided into passive, tactical and ultimate. Each Legend has one ability in each category. For e.g. a Bloodhound can see tracks left behind by enemies and it’s a passive skill. His tactical ability “Eye of the Allfather” reveals hidden traps left behind by enemies and his ultimate ability allows him to move faster and highlight preys. That’s just one example. Different Legends have different abilities. Use them wisely. 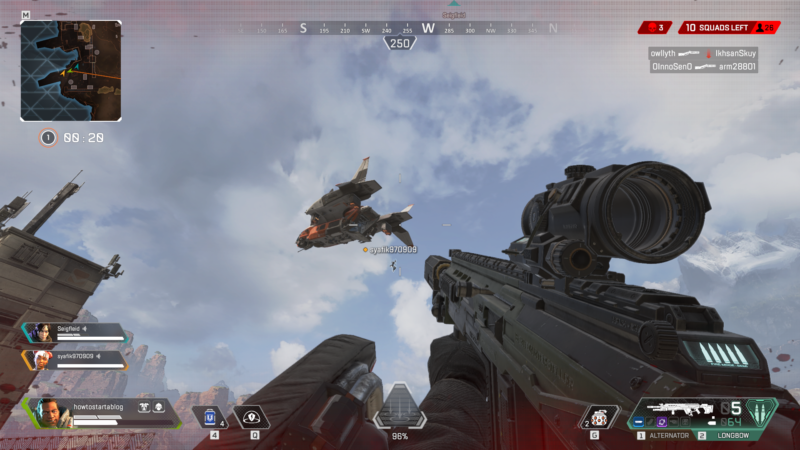 Similar to Fortnite, PUBG and other battle royales, you start off the game by jumping from the plane. However, there’s a twist here. One player will be randomly assigned as the Jumpmaster. He or she dictates where the squad should land. Other members can also make suggestions on landing areas. However, the Jumpmaster decides when to jump and other squad members will automatically follow. If you feel too pressured being the Jumpmaster, you can relinquish this position, and someone else takes over. 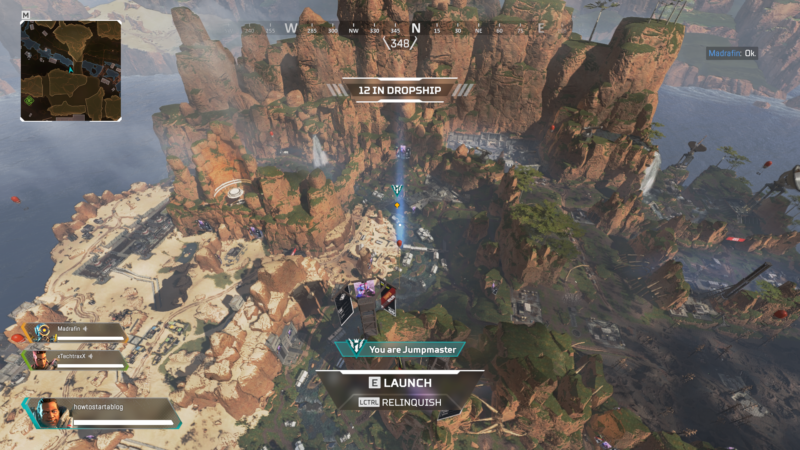 Also, you can choose to jump separately from the Jumpmaster, but it’s dangerous to go solo in this game. Unfortunately, you can’t play solo in this game and will be assigned to a squad of three. Like other battle royale games, you need to loot items as soon as you land. There’ll be weapons, ammo, body shield, grenades and so on. There is also limited slot for your ammo, so you need to choose wisely depending on what weapon you’re carrying. Looting is really smooth in this game. Just keep spamming the loot button and you’ll automatically pick up everything. However, if you already have the same item (e.g. 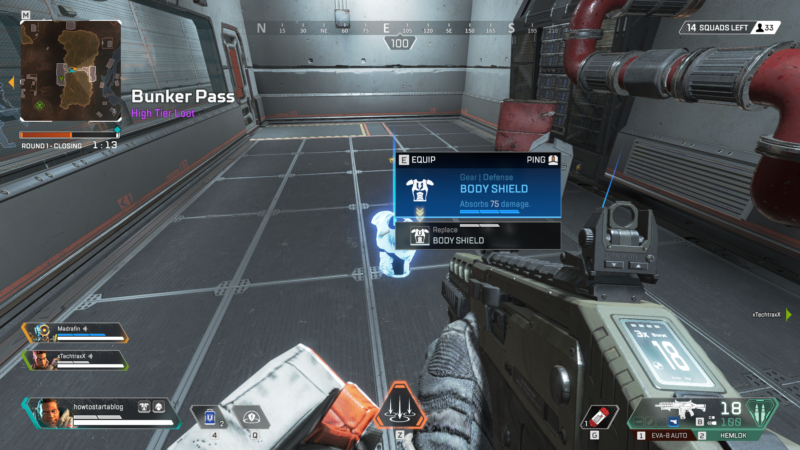 body shield), or the item on the ground is weaker, it won’t automatically loot. You need to hold the loot button to get it. 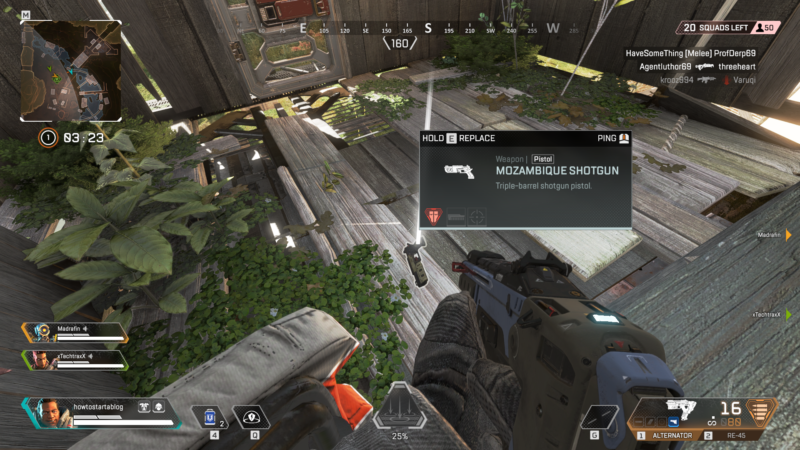 This prevents you from looting the same or inferior item, which is a convenient feature in Apex Legends. Choosing the right spot to land can be crucial in determining if you win the round, just like in Fortnite or PUBG. Some places have more weapons and items, but it also means that other squads will be there. If you’re confident with your FPS skills, then go ahead and land in a more populated area. The popular landing areas are the Thunderdome, Relay, supply ship near the Market or even at the Water Treatment. You can find plenty of items early on. 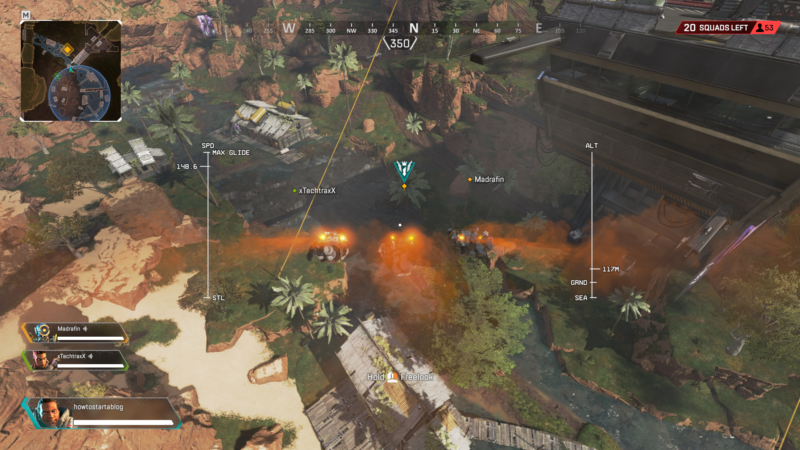 Apex Legends also allows you to revive your squad members. When you’re incapacitated, you can only crawl and activate a shield to delay your death if enemies are near. Reviving a teammate takes time, so you need to hide well. Also, the member that is down will only have 99 seconds to be revived. If you fail to do so, don’t worry too much. If the team member eventually dies, he or she will leave behind a crate with all the weapons and items. 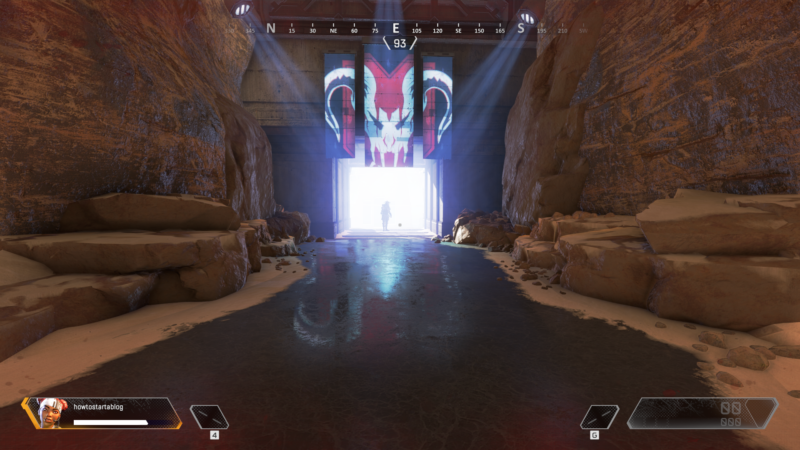 Inside the crate, you will find the player’s banner. Grab the banner and go towards the nearest respawn beacon. You should see it on your screen. 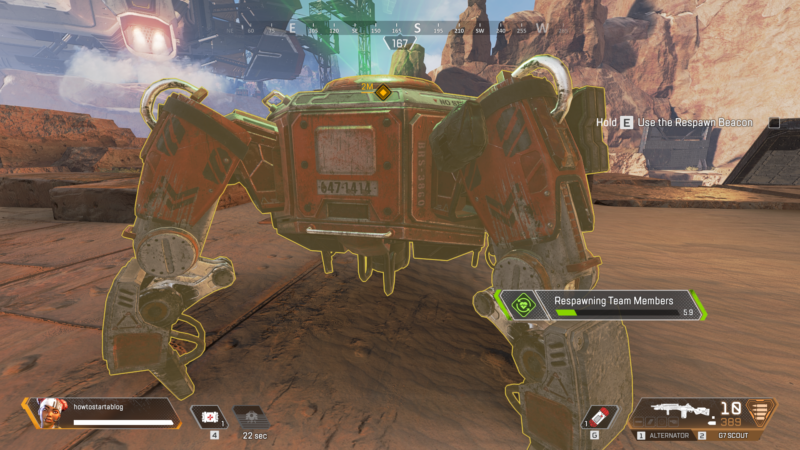 Hold “E” to respawn at the respawn beacon, and your teammate will come back after a few seconds. You will see him or her flying down from a plane nearby. Like most games these days, you have microtransactions. 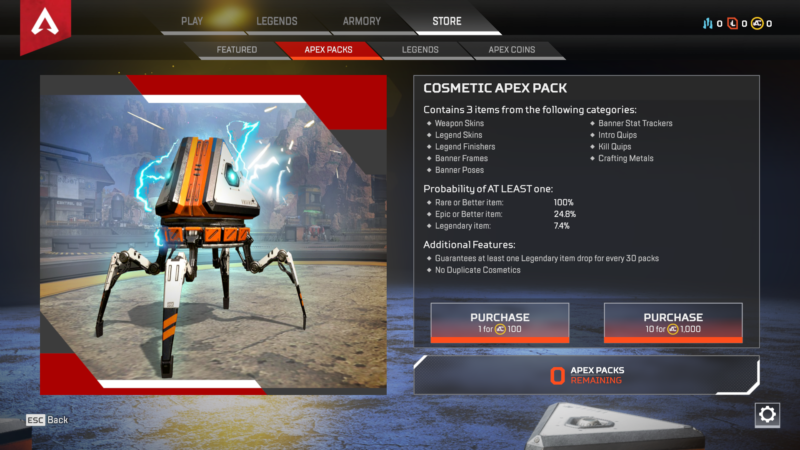 You can buy all types of items including Apex Packs. 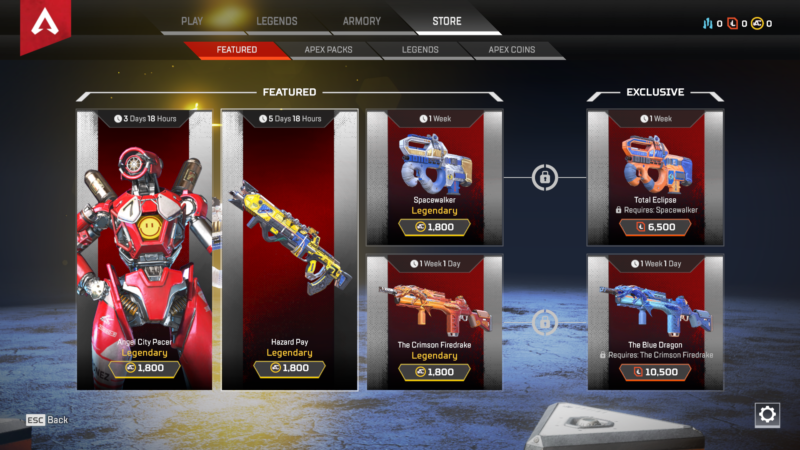 They will give you weapon skins, Legend skins and a lot of cosmetic items. You can also obtain items that are rare, epic or legendary based on your luck. Apex Coins and more direct purchases are also available. 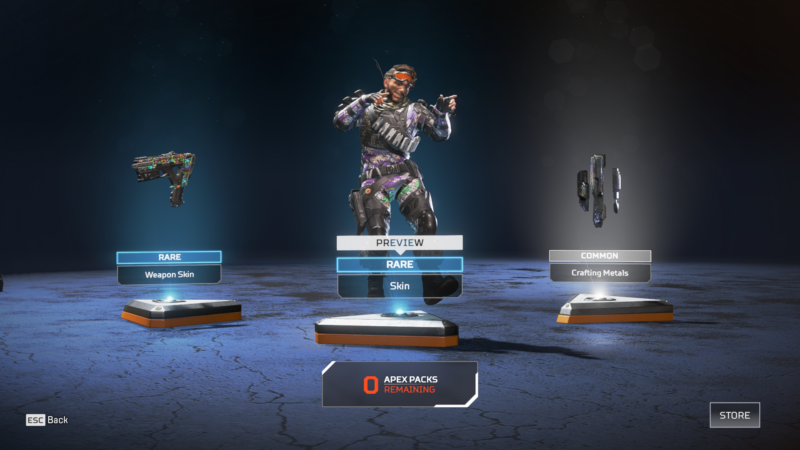 Like Overwatch, Apex Legends has Loot Boxes as well. You will earn them after you level up, and you can accumulate experience points after each match. These Loot Boxes will give you mainly cosmetic items like Legend skin and weapon skin. Most importantly, remember to have fun! The controls are pretty solid and smooth, which was a good surprise after trying out the game. You can also run and slide in this game, which adds speed to your movement. The graphics are also pretty awesome and surprisingly, it doesn’t lag like PUBG does sometimes. Furthermore, the weapons and effects are also quite satisfactory. Do give this game a try and you may actually like it.